Whether you’re a frequent visitor or a first time traveller, Sitka is home to many entertaining activities you’re sure to love. Discover the community and culture of our Alaskan paradise with eight exciting ways to make your trip one for the books. Find the best activities for you and your family in this thrilling adventure getaway. Soak in a natural hot spring, visit Glacier Bay National Park, join the Ultimate Fire & Ice tour, and enjoy many more fun activities at Alaska Adventure Sailing. 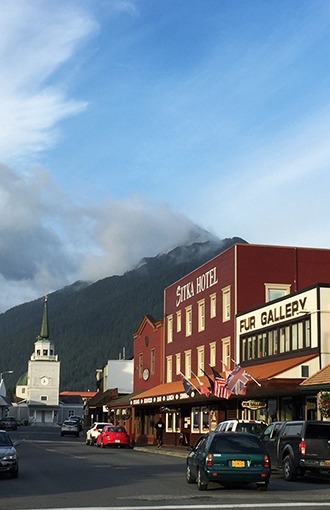 No matter your passions, there’s something for everyone in Sitka, Alaska. Take a trip to New Archangel and explore the culture of the Tlingits, the indigenous group of people who continue to practice traditional art, wood carving, and dance. For more activities around this area, you can explore historical artifacts at the Sheldon Jackson Museum and walk various trails at the Sitka National Historical Park. The Sitka Sound Science Center is an aquarium located in the historic Sage Memorial Building. Families and researchers alike can learn about Alaskan animals and observe the local salmon hatchery. Kids will enjoy completing various quests to earn stickers and a Junior Naturalist badge. If you’re feeling hungry, there’s also a popular Chowder Cart where you can indulge in the local eatery. Get up close and personal to the rescued owls, falcons, and eagles that take refuge at the Alaska Raptor Center. In many cases, these birds are no longer able to fly or fend for themselves until recovery. Public release parties are often organized by the facility whenever the raptors are ready to return to their natural habitat. The Alaska Raptor Center also encourages you to adopt a raptor by donating $75 to support its recovering health. Join us in celebrating Alaskan marine life and their unique environment at the Sitka Whalefest, a four-day science festival is filled with film, food, art, and wildlife. Listen to world-renowned scientists in the symposium, enter the 5K Whalefest Run, spend time on the water in a wildlife cruise, and more. If you have an interest in Alaska’s history as a Russian-owned land and its assimilation into the United States, the Alaska Day Festival is the perfect event for you. Bring your family for a fun and educational outing to learn all about the place we call home. Get your drink on at the Baranof Island Brewing Company, the Sitkan stop for beer enthusiasts. Always made from pure, glacier-fed Alaskan water, this brewery blends gourmet malts and hops for a taste you can’t beat. Travelling with kids? No problem! Baranof Island Brewing Company also makes homemade root beer. Sip some samples and take home a growler of any of our local favorites for all to enjoy. Interactive, entertaining, and educational– the New Archangel Dancers have kept traditional Russian dancing alive since 1969. This all-female group has performed and choreographed authentic Russian productions to teach tourists and locals about Sitka’s Russian heritage. Check out their website for showtimes and plan to see a captivating performance! Overlooking the Sitka Harbor and Crescent Bay, our newly renovated hotel and restaurant is the perfect place to bring the family together. See availability & make your reservation today! 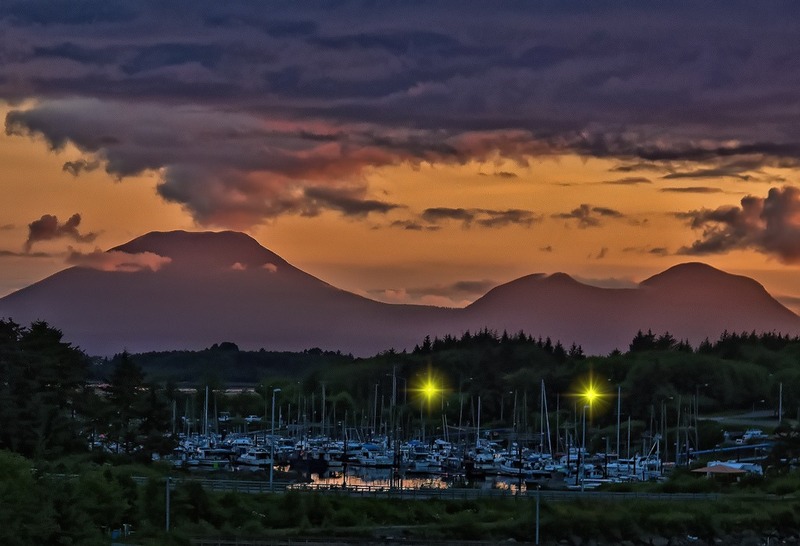 Adventure and relaxation awaits you in the scenic town of Sitka, Alaska. Enjoy traditional and Alaska delights by our Executive Chef in the hotel’s restaurant, where breakfast, lunch, and dinner is served daily. Locally caught Alaska seafood — clams, crab, shrimp and salmon — along with traditional man-sized steaks and sandwiches with the Chef’s special touches to satisfy the most hearty and selective appetite are menu favorites. See what’s on the menu today!